When you go on holiday you want to enjoy not just new places but new experiences too. 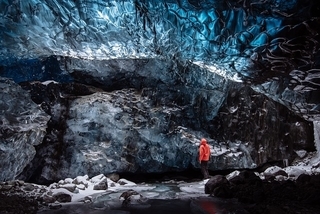 Iceland is packed full of unique activities which you may not have tried before. With Iceland car hire you can take your pick of all the adventures that are on offer. To help you with your decision we have our top ten of some of the more unusual things to do in Iceland. In the Thingvellir National Park go diving in the Silfra fissure which separates the Eurasian and the North American tectonic plates. The water here is crystal clear coming off the glaciers and being filtered through volcanic rock. Iceland is a volcanic country so much of its landscape has been shaped by the activity of the volcanoes. The Thrihnukagigur volcano is truly unique as it is the only one in the world where you can actually climb down inside the magma chamber. There are several places where you can take an evening dip in a hot spring - the most well known being the Blue Lagoon. Never enter a hot spring in Iceland without getting advice first as they are not all suitable for swimming. For many this is one of their reasons for visiting Iceland. There is something truly magical about watching these natural displays. The best chance of seeing them is between late September and late March. A little kitsch maybe but an insight into one side of Icelandic culture. Known as the 'hidden people' by the locals there are many tales of sightings. The Elfschool is located in Reykjavik so handy if you are on your way back to the airport. Glaciers are a beautiful sight and there are numerous in Iceland. Vatnajökull is one of the biggest in Europe. Alternatively, if you want an easier hike, then Sólheimajökull in the south of Iceland is a good choice. If you need a rest from hiking and swimming then why not take it easy while you glide through the countryside? 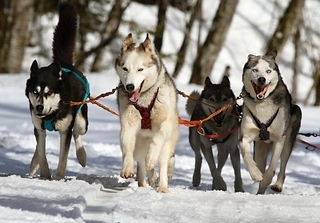 Meet these intelligent animals and learn about the history of dog sledding and the local area. The island of Grímsey is the only part of Iceland that is inside the Arctic Circle. It is a three hour ferry ride from the port of Dalvik. Grímsey is home to around 100 humans but many millions of birds including puffins. As well as hiking on top of the glaciers you can also walk through tunnels underneath them. These sparkling caverns change with the seasons. If you want to visit you will need to book a tour of the ice caves in advance. As you might imagine, fish features heavily on Icelandic menus. Fermented shark may not be to everyone's taste but other traditional recipes such as Plokkfiskur, a fish stew, and lobster known as Humar may appeal more. MoneyMaxim can help you find the perfect car hire to suit your planned trip to Iceland. And we are also on hand to help with any additional insurance you need for your Iceland car hire.